Whatever the occasion, a gift card is the perfect gift for business, friends and family. For the best rate, book online with us and save - we guarantee you'll be getting the best deal around! 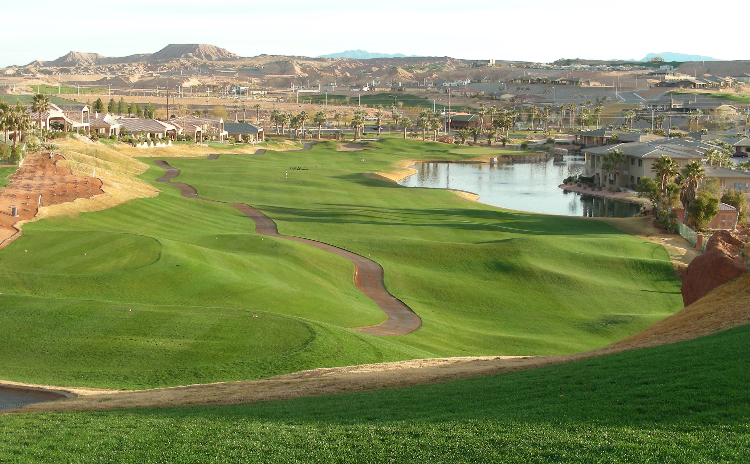 The Oasis Golf Club will be pleased to help you plan a group event in majestic Mesquite, Nevada. Purchase the 2019 Mesquite Golf Pass starting October 15th. 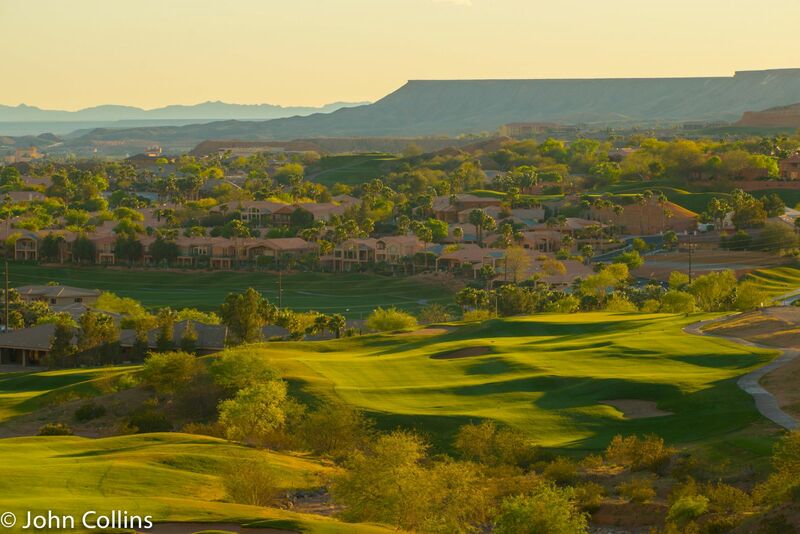 The Oasis Golf Club is Arnold Palmer's magnificent masterpiece featuring the Palmer & Canyons Golf Courses. 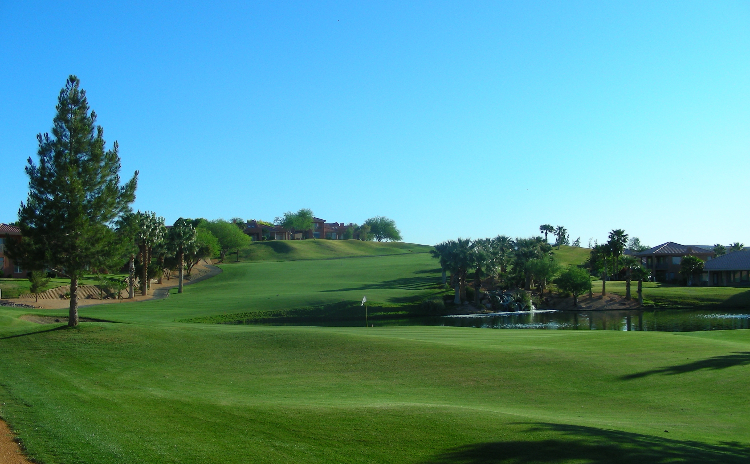 We are Mesquite's only 36-hole golf facility. The Palmer course was designed by Arnold Palmer in 1995. Originally, Mr. Palmer designed and built the course for his good friend, Si Redd. The "Vistas 9" also opened during the same time and eventually became the back 9 of the Canyons once the front nine opened in 2005. 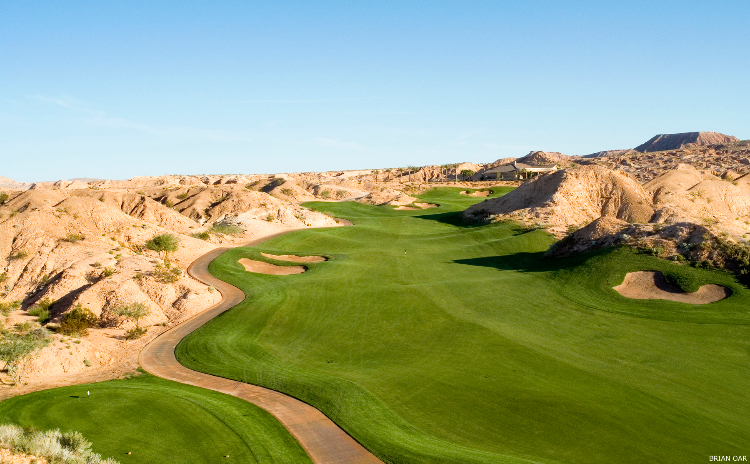 The Palmer Golf Course is one of Mr. Palmer's top ten favorite designs! In Mr. Palmer's monthly magazine, he was quoted saying that #5, #6, & #8 are in his top 18 holes he has ever designed(see pic below of #6 Palmer green tucked between its natural boundaries). The Oasis is home to over 350 members and is Mesquite's only semi-private facility. Non-members can make reservations up to 90 days in advance. Guests may book tee times on our website's homepage located above. 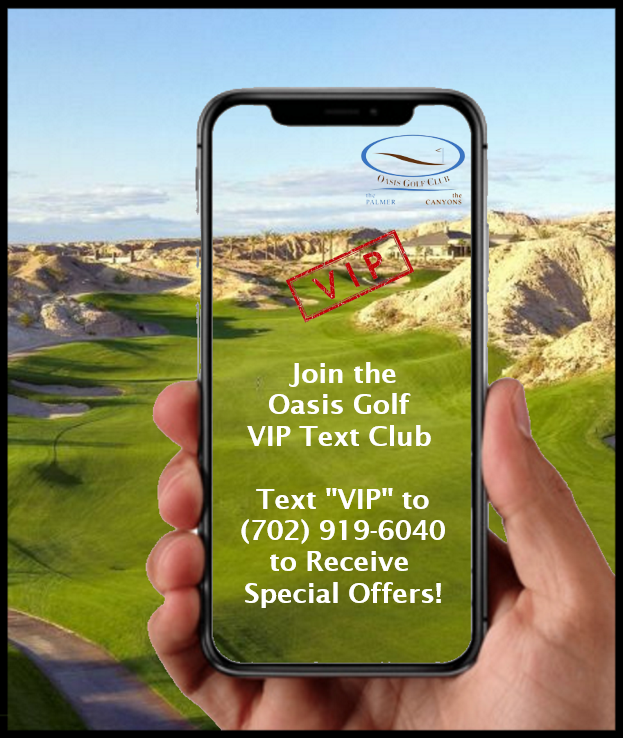 Guests looking to set up golf packages that include Oasis' two courses and/or lodging can book up to 180 days in advance by clicking on the "GolfMesquiteNevada" button below. 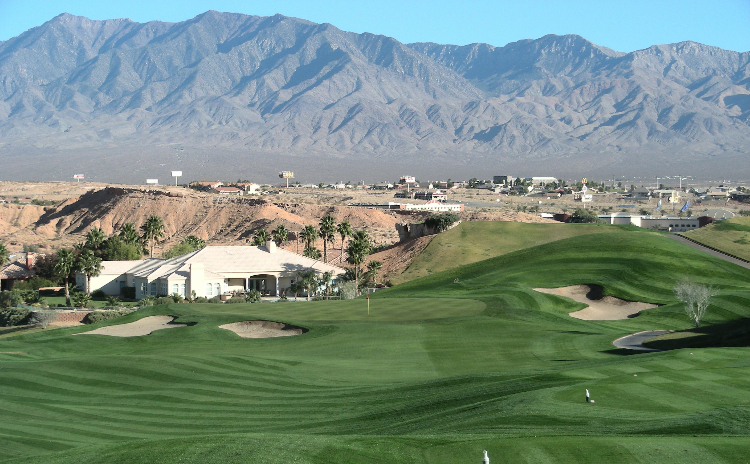 The exquisite 29,000 square-foot Oasis Golf Clubhouse is nestled between the Arnold Palmer-designed course and the Canyons course. The grounds are complete with a driving range, chipping green and two putting greens. The Clubhouse includes two "Members Only" lounges, locker rooms, and two dining facilities. The Grille Room is open for casual breakfast and lunch along with a fully-stocked bar. The Redd Room is designed to accomodate member tournament parties, private dining, weddings, and quinceneras. Dinners are served on Fridays and Saturdays only both in the Grille Room and Redd Room. The biggest golf shop in Mesquite is located here at Oasis. The abundant and popular ladies collections of clothing include Jaime Sadock, Cutter & Buck (Annika), Norman Collection, Jofit, Straight Down, Adidas, EP Pro, Footjoy outerwear along with Golfstream Sandals, Sandbaggers shoes, etc... Also, make sure to check out our new lines of apparel that arrive frequently from October through April each year.